Even some men and women with excellent dental health want to improve specific components of their smile. With cosmetic dentistry from The Richardson Dentist, we can help. Though proper brushing is essential for healthy teeth and gums, it won’t re-contour a gumline or repair a chipped tooth. A cavity-free mouth may still have stained or slightly misaligned teeth. Each smile makeover is completely unique, therefore the price varies from patient to patient depending on the specific procedures performed. During your consultation, we will give you an estimate for your smile redesign. If your smile makeover requires several hours of treatment, or if you have dental anxiety, you may want to examine sedation. Dr. Goad will explain your sedation options and the associated costs. If you have existing decay or gum disease, these troubles need to be addressed prior to your cosmetic concerns. 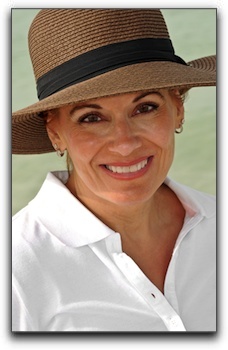 It may be possible to combine required restorative procedures with your cosmetic work. To learn more about smile transformations, call The Richardson Dentist. Services include general and cosmetic dentistry. Make an appointment today! 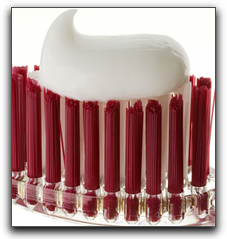 One of the critical habits for good dental health is brushing your teeth every day with an effective toothpaste. There is a wide variety of toothpastes available. At The Richardson Dentist, we recommend you use one with fluoride and make sure it has the ADA seal. This ensures that the toothpaste has been tested, claims are being met, and the ingredients are correct. A toothpaste may have a whitener among its ingredients, but that doesn’t mean it has fluoride, and it doesn’t mean it’s necessarily good for your teeth. Toothpaste as we know it has only been in existence since the late 1800s. The earliest evidence of toothpaste or dental cream goes back a lot further than that, though: all the way back to 3000-5000 BC. The Ancient Egyptians pulverized oxen hooves, egg shells, pumice, myrrh, and water creating one of the earliest forms of toothpaste. The Greeks and Romans began adding crushed bones and bark to the mix. The taste must have hard to take. During this same time the people of China and India were using a similar paste, but adding flavorings, like Ginseng and herbal mints making it a bit more palatable. We’re lucky to be in an age where the variety is so great! All sorts of flavors and effects are on the market. Just remember to read the ingredients, and get something with fluoridate and the ADA seal. At The Richardson Dentist we want to help all our patients have healthier smiles. Our services include general and cosmetic dentistry. Schedule an appointment today! What makes up a perfect smile? White teeth? Straight teeth? Teeth with pleasing proportions relative to one another? A stunning smile is more than the sum of its parts. At The Richardson Dentist, we use cosmetic dentistry to bring out another element—your unique personality. What is a smile makeover? It is a combination of cosmetic procedures that remedy any problems with your existing smile. If you have teeth that are not structurally sound, you may need a dental crown. The crowns we provide at The Richardson Dentist in Richardson blend perfectly with your existing teeth. No “chiclet” effect where the crown sticks out like a sore thumb. What if you have a missing tooth? Ask us about dental implants. This permanent tooth restoration is actually anchored into the jawbone, offering strength, natural function, and protection from bone recession. With a tooth implant, there is no need to damage the two adjacent teeth as is necessary for a dental bridge. There are a variety of dental braces available for our patients who need orthodontic treatment. Ask us about invisible braces, lingual braces and fast braces. At The Richardson Dentist, cosmetic dentistry creates positive changes to your smile. We also offer general dentistry services. Schedule an appointment today. At The Richardson Dentist, we continue to achieve fantastic results with our cosmetic dentistry smile makeovers. If the term “cosmetic dentistry” is unfamiliar to you, it’s a type of dental care that focuses on improving the appearance of your mouth and teeth, and how they come together in your smile. There are a number of common cosmetic dentistry procedures available. 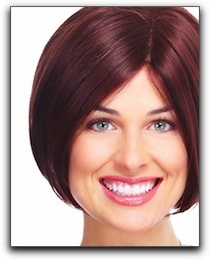 The most popular are teeth whitening and porcelain veneers. Clear braces have generated a lot of interest, too. Teeth whitening at The Richardson Dentist can transform your smile in ways that far surpass any whitening product you’ll find at the grocery store. We use Zoom! and Ultradent in-office whitening systems. We also offer a highly effective take-home kit that you can do in the privacy and convenience of home. Porcelain veneers are thin shells of medical-grade porcelain that are affixed to the front of your teeth. They are great for covering chips and cracks that detract from your smile. Clear braces from Invisalign can straighten your teeth without the bother of metal brackets. They’re worn like an athlete’s mouth guard, and are so subtle that people standing just a few feet away might not realize you’re wearing them. Best of all, they can be removed at mealtime and when you brush your teeth. At Richardson Cosmetic Dentistry in Richardson TX, our cosmetic dentistry will leave you saying “Wow!” We also offer a wide range of general dentistry services. Schedule your next cleaning and checkup with us today. Perhaps you have heard that cosmetic dentistry procedures can totally transform a smile. You may be a little skeptical: the promise of total transformation is, after all, a tall order. At The Richardson Dentist, it’s one we can deliver on. Are smile makeovers really possible? Absolutely! At The Richardson Dentist, we work miracles with modern cosmetic dentistry. If your smile has several problems including cavities, stained teeth, chipped teeth, old silver fillings, or misaligned teeth, you may suppose that a smile makeover would take many hours and several visits. The truth is, the smile re-designs I perform are quicker and easier than ever before. We offer dental veneers, porcelain crowns, dental bonding, and tooth-colored fillings. 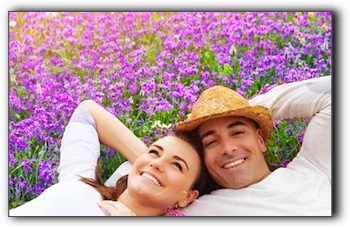 Ask us about sedation dentistry, invisible braces, dental implants, and crown lengthening. There are few physical features that bring continual long-term pleasure and satisfaction like a perfect smile. At The Richardson Dentist in Richardson TX, we offer a full range of cosmetic dentistry procedurs that can transform any smile. We also offer general dentistry services. Schedule an appointment with us today. At The Richardson Dentist we use cosmetic dentistry every day to create fabulous new smiles for our patients. We call this a “smile makeover.” What exactly does it entail? A beautiful smile is the sum of its parts. 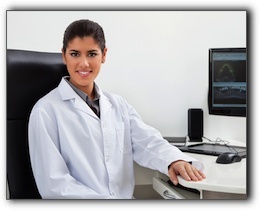 With the patient’s input, we do a smile analysis to evaluate his or her smile. Our goal is to bring the teeth, skeletal structures, and muscles into harmony. It’s a complicated endeavor, requiring an understanding of how all of these components relate to one another. Any one of the the techniques listed above will go a long way toward transforming your smile. Two or more can leave you with the smile of your dreams. To find out what cosmetic dentistry can do for your smile, call us at The Richardson Dentist in Richardson TX. Other services include adult orthodontics. Schedule an appointment with us today. 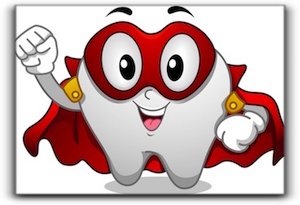 Did you know that enamel is the hardest substance in the body? It’s true! This substance, found on the outer surface of your teeth, should last a lifetime. But The Richardson Dentist reminds you that just because it’s super tough doesn’t mean you don’t have to work to take care of it. 2. Avoid vigorous brushing and use a soft brush. Also, it’s best to brush about an hour after eating, because foods, especially acidic ones, can soften the enamel, thus making it more prone to damage from brushing. If your teeth are discolored or yellowish, you may feel you need to brush harder. 3. Keep stomach acids in check. If you have a problem with severe heartburn, the stomach acid could be traveling up your esophagus and into your mouth. This acid can erode enamel, so it is important to talk to your Richardson doctor about treatment. 4. Talk to us about dry mouth and tooth grinding. Lack of saliva is a major problem for tooth enamel, and it’s no surprise that teeth grinding can also wear it down. Make sure your dentist is aware if you observe either of these issues. At The Richardson Dentist, we want all our patients to maintain excellent dental health. Our services include general and cosmetic dentistry. Schedule your next checkup with us today. For thousands of years, dentures have been allowing people to chew foods harder than mashed bananas and flash some teeth when they smile. But they can be inconvenient, to say the least. The Richardson Dentisty has a better option with dental implants. A dental implant provides the total package, so to speak. A single implant can support an artificial tooth, while several can support a set of dentures. The implant procedure goes like this: A super-strong titanium post is anchored directly into the jawbone. In the case of a single implant, an abutment is attached to the post. A crown is attached to the abutment. For denture implants, multiple implants, usually at least four, provide anchors for the dentures. Dental implant patients with one or two missing teeth can replace each missing tooth with a permanent implant. Dental patients with significant tooth loss are usually best served with an implant-anchored denture. To find out more, call The Richardson Dentist. In addition to dental implants we offer adult orthodontics and many other services. Schedule an appointment today. At The Richardson Dentist in Richardson TX, we perform smile re-designs that turn ordinary teeth (or even teeth with problems) into beautiful smiles. If you have been considering a smile makeover, you probably want to confirm if you will still look like yourself. But you don’t have to worry about midlines and microesthetics because we are devoted to the details. We invite you to schedule a consultation to talk with The Richardson Dentist in Richardson TX about your current smile, and the beautiful smile you desire. Services include cosmetic and general dentistry. Call our office today! At The Richardson Dentist, the dental health of each of our patients is always our top priority. And preventing cavities is one of our biggest concerns. 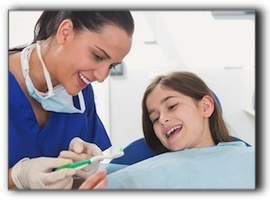 Dental sealants are an excellent way to protect the teeth from decay. A. Dental sealants are permanent plastic barriers applied to the biting surfaces of teeth, especially the molars. They prevent cavities by filling in the grooves and fissures where food particles are particularly difficult to remove. Q. Yes. Studies show that dental sealants can cut down the risk of decay by up to 70%! A. We apply the sealant resin as a liquid which quickly hardens and adheres tightly to pits and grooves. The procedure is quick, straightforward and completely painless. A. The best time is early – while the teeth are cavity-free. Q. Does that mean sealants are just for kids? A. Not necessarily. Talk to us about whether sealants could benefit you. A. Yes. Vigilant oral hygiene is still critical to keep teeth and gums healthy. Even the teeth with sealants are at risk for decay along the gumline. Think of sealants as an extra layer of protection. At The Richardson Dentist in Richardson TX, keeping your teeth an gums healthy is our number one concern. We offer a wide range of services, including general and cosmetic dentistry. Schedule an appointment with us today.